The Procession was not the only element	of the reformed Easter Vigil that underwent a change of character either through modifications to its form and content or through a novel interpretation of its role. We have seen how the Exsultet lost its operative principle as the Blessing of the Candle and was reduced to a mere text, while an entirely new ceremony was invented for the Candle. Bearing in mind that the omission or rearrangement of even one element in an orchestra, or the addition of an extraneous element, could upset the balance and harmony of the ensemble, we can conceptualize the damage done to the traditional Vigil by the omission of two-thirds of the Scriptural readings: Of the original 12 Prophecies, only four remained in 1956. In the time of St Gregory the Great, there were only 4 Prophecies. There is nothing special about the number 12; therefore, no “absolute need” (necessità assoluta) to stick to it. Having 12 readings is a “real burden” (vero onere) on everyone concerned. The Church finally settled for 12 – the same number as in the 5th century Easter Vigil in Jerusalem (3) – and they remained in this form over the centuries until 1956. Evidently, the Commission saw no reason to respect this immemorial tradition. We must note a curious irony here. 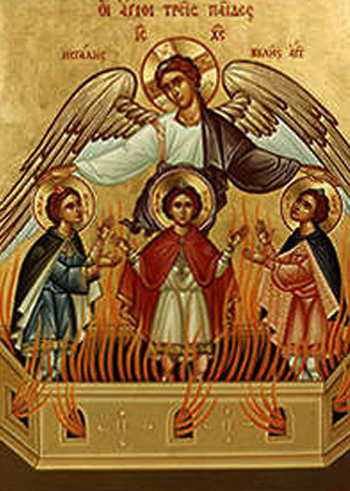 The Commission had set itself the task of returning the liturgy to its primitive foundations in the first centuries of the Church and cutting out whatever it considered to be later “accretions.” Yet it rejected the number of scriptural readings that had characterized the earliest known Easter Vigil, i.e. 12, for a small fraction found at an interim stage of development of the Roman Rite. The Easter Vigil reform, which started in 1951 on an experimental basis, is the earliest evidence we have that the reformed Vigil was primarily geared towards the comfort and convenience of the assembly. By characterizing the 12 Prophecies as too much of a “burden” for all concerned – it might as well have said “too long and boring” –, the Commission presented the traditional liturgy as a form of oppression from which the faithful needed to be liberated. According to this perverse view, the faithful were incapable of deriving spiritual nourishment from the traditional liturgy, and it must, therefore, be tailored to suit their perceived needs. Such a conclusion about the faithful is both condescending and shallow. It ignores the true method of participation whereby they engaged in understanding and praying the liturgy with hearts and minds without necessarily knowing the meaning of the Latin words. They were simply drawn to the message of the texts sung by the choir in Gregorian Chant. In other words, a lively Faith was paramount and an instinct for God; little else was needed. Before these unnecessary reforms, the whole of the Church’s liturgy, most especially in Holy Week, was imbued with the spirit of sacrifice. Yet of this indispensable requirement the Commission made not a mention. Instead, turning all previous wisdom on its head, it allowed the liturgy, for the first time in the Church’s history, to be imbued with the spirit of the world, catering to the baser human instincts for a less “burdensome” form of worship. It is not without significance that this procreative purpose was not clearly affirmed at Vatican II as the primary end of marriage, but downgraded and conflated with other ends, contrary to both the Natural Law and the biblical teaching. But the first overtures to the radical feminist agenda had already been made in 1956 with the omission of Isaiah 4:1 from the traditional liturgy. For the ordinary Catholic, questioning why there were 12 Prophecies was superfluous. It was enough to recognize, without the need to analyze why there was that number, that it was the immemorial tradition of the Church. The lengthy readings were chosen to emphasize that the Redemption had been predicted by the Patriarchs and Prophets throughout the Old Testament. In order to make the point most cogently, the readings were skilfully crafted into 3 distinct groups of 4 nocturns, each with its own theme, giving the full history of our Redemption from the Creation to the Resurrection. But, in the reform, most of the accounts relating to the Resurrection were suppressed e.g. Noah and the Ark (as in the Palm Sunday blessings), Abraham’s sacrifice of Isaac, Ezechiel’s vision of the valley of the dry bones, Jonah in the whale, the three young men in the fiery furnace. Their relevance to the Church is that they were all figures of the death and Resurrection of Christ. Significantly, the Instruction accompanying the Decree Maxima redemptionis (1955) lacks any mention of this connection. In its commentary on the Old Testament readings, it simply states that in them “the great deeds accomplished by God in the Old Covenant are commemorated, pale images of the marvels of the New Testament.” Thus, any specific reference to the Resurrection as a fact of history predicted in the Old Testament is avoided. We are left wondering what the real reason was for the drastic reduction in the Easter Vigil readings. In their attempt to offer the faithful an “easy-riding” liturgy, the progressivist reformers detached the essential element of the lex credendi from the lex orandi which underpins it. All they succeeded in doing, therefore, was to deprive the whole Church in 1956 – and the modern day users of the 1962 Missal – of the full panoply of Prophecies which pointed to the Resurrection of Christ. Jean Deshusses (ed. ), Le sacramentaire grégorien, ses principales formes d'après les plus anciens manuscripts: le sacramentaire, le supplément d’Aniane, Freiburg, 1971, vol. 1, , 1971, pp. 183-185. The 8th century Gelasian Sacramentary had 10 readings and 10 corresponding collects; the Byzantine liturgy had 15; the Lateran Basilica had twice as many as it appeared because they were read in both Latin and Greek for the benefit of the Greek-speaking faithful in Rome. See here. Anton Baumstark, Nocturna laus. Typen frühchristlicher Vigilienfier und ihr Fortleben vor allem in Römischen und Monastischen Ritus (Nocturnal Praise. Types of early Christian Vigils and their survival especially in Roman and Monastic rites), Münster: Aschendorff, 1957, pp. 38-39. 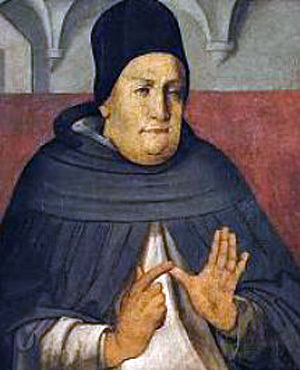 Summa Theologica, II, II, q. 91, a. 2. “And in that day seven women shall take hold of one man, saying: We will eat our own bread, and wear our own apparel: only let us be called by thy name [in marriage]. Take away our reproach [of childlessness].” (Isaiah 4:1) The women in question were willing to forego the secondary benefits of marriage – the mutual aid of the spouses – in order to obtain its primary goal, the procreation of children.